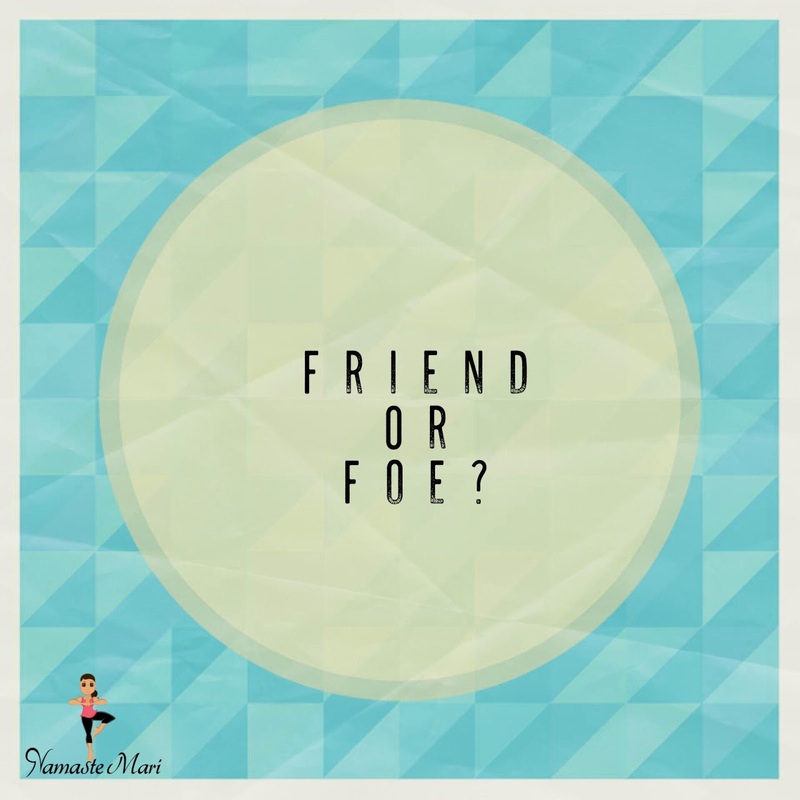 Namaste Mari: Monday Morning Ramble: Friend Or Foe? 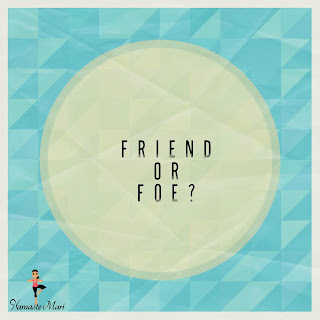 Monday Morning Ramble: Friend Or Foe? Sometimes when I am in Yoga Teacher Training, I feel like Mokshapriya is speaking directly to me when she is discussing a topic. This weekend it happened yet again when we were going over Chapter 6 of the Gita. Mokshapriya stated "You are your own friend if you have self control. You are your own enemy if you have no self control". This simple statement resonated so deeply with me. Remember last week, I was discussing goals for October and one of those was not to have any binge episodes? Well that didn't pan out. On Friday I made the conscious decision to buy the limited edition Cookie Butter Oreos, fully knowing that this would not go over very well. I tricked myself into believing that I would have self control but what is that saying about insanity? Insanity is doing the same thing over and over again and expecting a different result. I guess you can call me insane because I inhaled those bad boys. Not gonna lie though, that evening I had zeeee best lower body workout. Her statement got me to think about the choices I make and how I can either be my friend or foe? When I stay on track and make better choices to live a healthier lifestyle, I can't help but feel good; I even carry myself differently. The flip side of the coin is drastically different. When I don't have self control, I begin to self loathe and say horrible things to myself...things that I would never say to a friend who made a mistake. I want to be my own friend, I want to strive and live the life that I want but I also know that these struggles are here for a purpose. I truly believe that without this "baggage", I wouldn't know how to connect with my clients. Many trainers know the ins and outs of nutrition planning and workout programs but they don't get the psychological aspect because they never experienced it first hand.